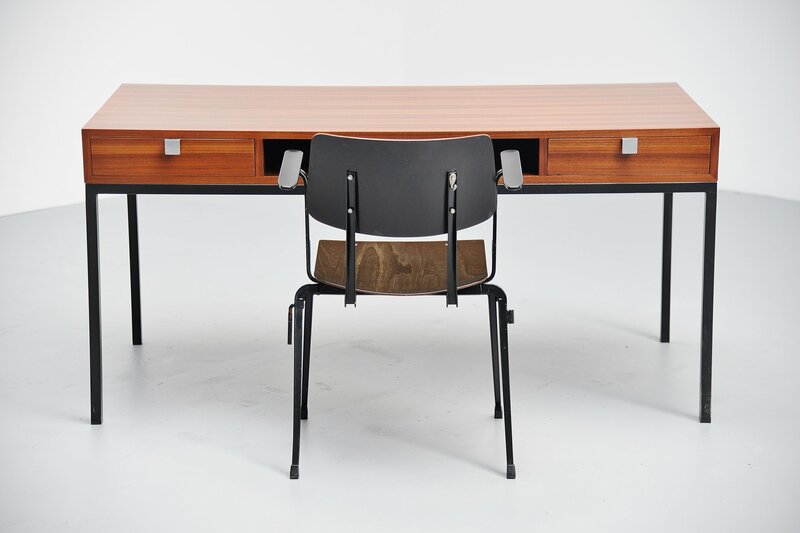 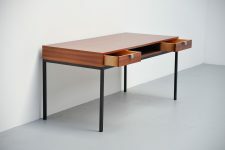 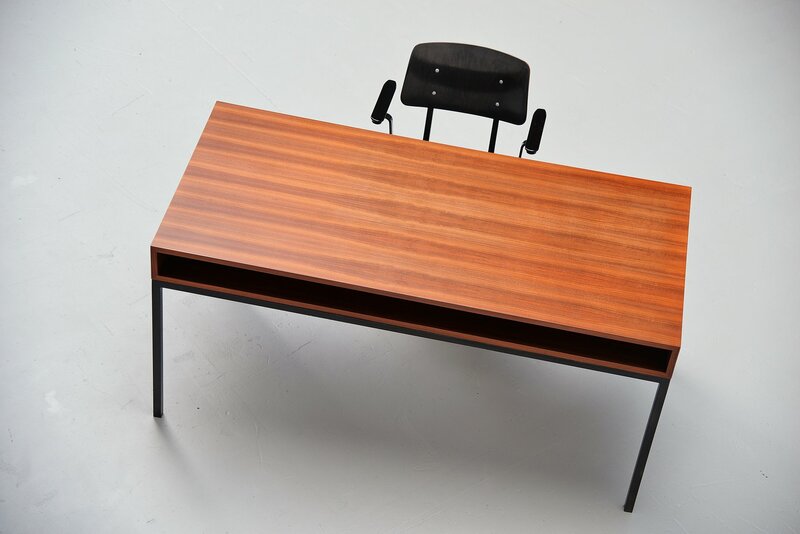 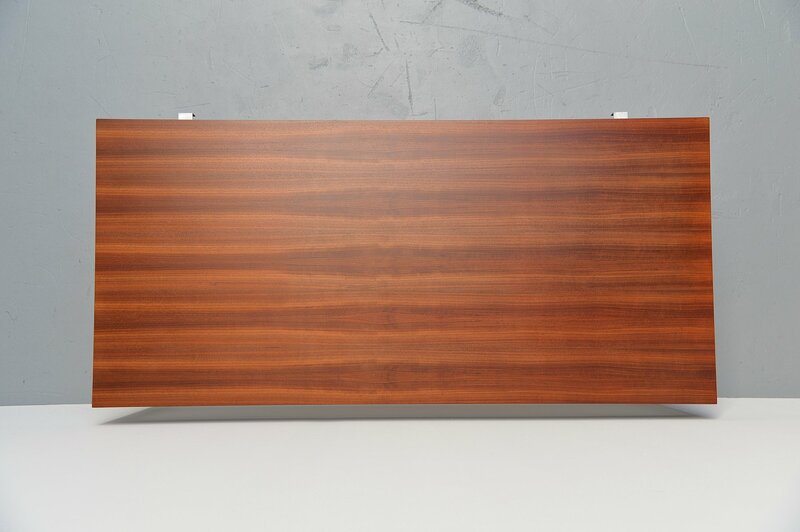 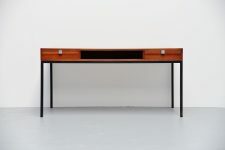 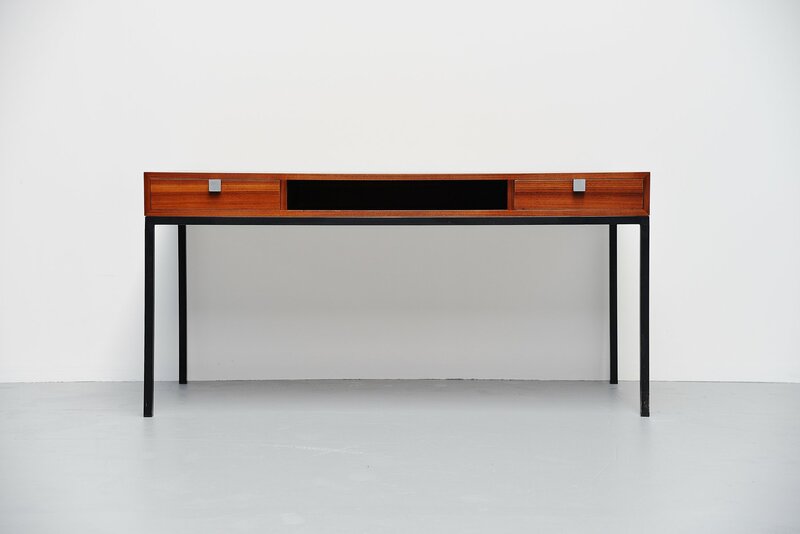 Very nice modernist writing desk designed by Herbert Hirche for Holzäpfel, Christian, Ebhausen Germany 1960. 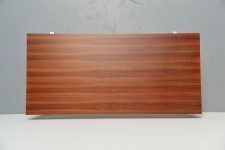 This desk has a very nice grained walnut wooden top that is fully refinished. 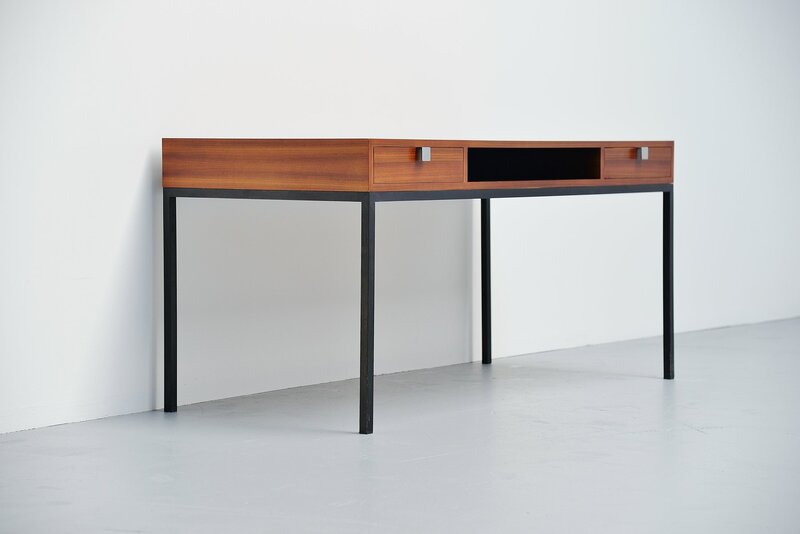 And the frame and handles are made of black lacquered metal. 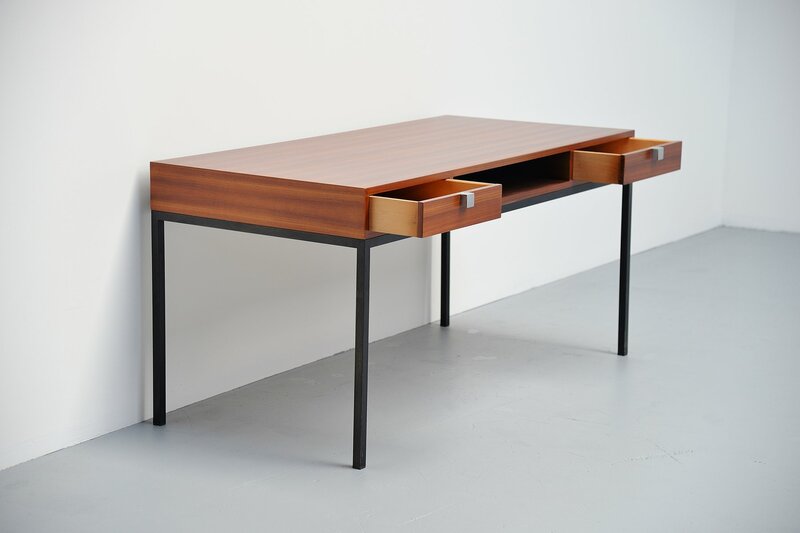 The desk has 2 drawers and space for papers or books in the middle and at the back. Because its quite a deep desk it could be used on 2 sides. 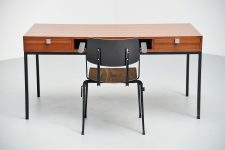 Very nice typical desk by Hirche in excellent condition, restored wit preservation of authenticity.